NAGURU – Twelve senior police officers at the ranks of Regional Police Commanders (RPCs) and District Police Commanders (DPCs) have been transferred in the latest shakeup by the Inspector General of Police Martins Okoth-Ochola. The appointments include five officers at the rank of Assistant Commissioner of Police (ACP), three Senior Superintendents of Police (SSPs), two Superintendents of Police (SP) and two Assistant Superintendents of Police (ASPs). ACP Moses Muluya who has been the deputy commander police marine unit has been appointed commandant Railway Police while the outgoing unit commandant ACP Emmanuel Muheire has been appointed acting commissioner police human resource management. 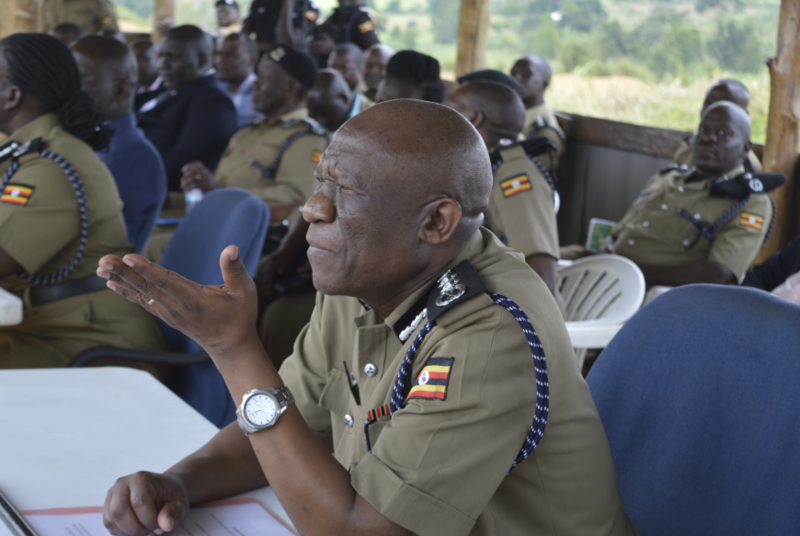 ACP Phillip Acaye, who has been RPC Wamala region has been transferred to Makerere University as Chief security officer whereas ACP Enock Baine who has been the university’s top security boss has been posted to Greater Masaka as RPC. SP Latif Zaake has been moved from Greater Masaka to Wamala region as RPC whereas SSP Christopher Barugahare has been appointed new West Nile RPC, ACP Otika Akabu from mission has been deployed at the Directorate of peace and support operations. “SSP Anatoli Katungwesi is transferred from police headquarters and appointed RPC Busoga East replacing SSP Hajji Ibrahim Saiga who went for a foreign mission. SSP Richard Akullu from ASTU goes to East Kyoga as deputy RPC,” the police statement reads in part. SP Rogers Kapere from police headquarters to Mayuge as DPC, ASP Denis Kamugisha from police headquarters has been appointed DPC Manafwa and ASP Sulait Kitaka from Manafwa to Nakaseke as DPC.